When talking about modern, more realistic, gritty superheroes, people most often mention Batman as the definitive example. When compared to more archetypal superheroes such as Superman, Batman is clearly a more realistic character. He has a past. In addition, he does not have any superhuman abilities — all he has is dedication, skill and wealth. However, since the concept of a superhero can be bent to include characters that are less cartoony and in theory could exist in the real world, people often forget classic films that also could be seen as superhero movies. 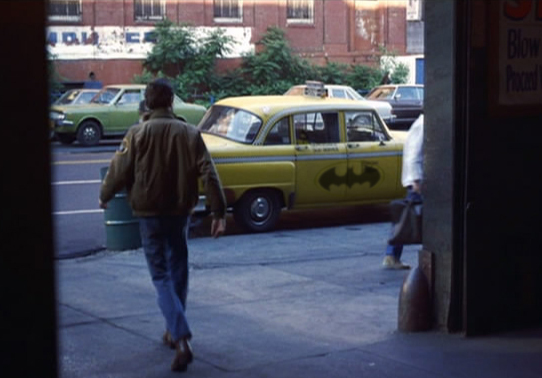 One whole genre full of potential overlooked “superhero” films is the 1970s vigilante genre with such classics as Death Wish with Charles Bronson and Scorsese’s Taxi Driver. 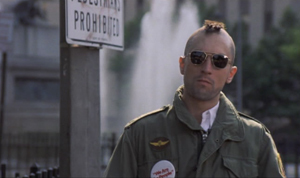 Taxi Driver is an interesting example for a variety of reasons. The movie exhibits extreme realism. The characters are everyday people — albeit from the seedy underbelly of life. There is a story of a hero single-handedly fighting evil. 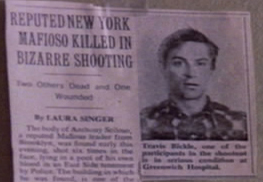 The story could be thought as an origin story for the character of Travis Bickle, whose character shares common superhero traits: strong moral values, vigilantism and heroism. Origin stories, such as the graphic novel Batman: Year One or the movie Spider-man, are an important part of superhero mythos: it usually is the single defining reason why someone becomes a superhero. For Batman, this would be the death of his parents by a street punk (motivation) and later, him being an extremely wealthy industrialist (resources — skills). For Travis, the motivation is much more complex: in part, he is either just disgusted by the dark aspects of city life, he’s going insane or it could be that he tries to prove his manhood to his love-interest. In any case, he takes it as his duty to clean the city of all the filth. Even if it is just a single street at a time. Travis’ resources obviously are limited compared to that of a millionaire’s. He does however have combat experience. 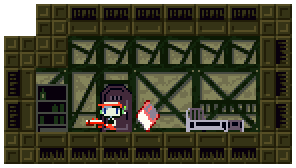 He obtains weapons and routinely practices with them. In a feat comparable to a Bat-device, he builds a special device for quickly wielding his backup gun from his jacket sleeve. At the same time Travis is preparing both mentally and physically for whatever he will do, he still maintains a facade of sorts by going to work. While his second persona clearly bleeds into public, it could be thought as a double identity — maybe just for himself. He is both a taxi driver and a killing machine. As if to differentiate his two sides, he shaves his head before going to work as a vigilante hero. Maybe as a logo of sorts, Travis adopts he catchphrase of presidential candidate Palantine and is seen sporting a pin carrying the slogan even when he makes an attempt at the candidate’s life. One important feature of a superhero is that he or she continually fights crime and evil. 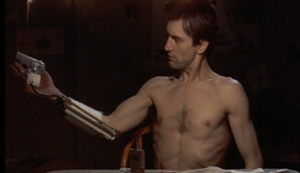 When Taxi Driver comes to an end, it is not implied in any way Travis won’t do something similar in the future. In fact, his treatment as a hero probably just feeds his ambition of becoming a person of importance — a hero. 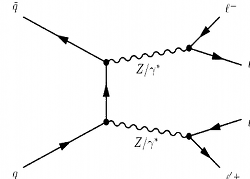 Richard Feynman was the most awesome person ever. He essentially was an upgraded version of Einstein, at least when it comes to human features. His personality is much more accessible to ordinary people: he’s the subject of anecdotes featuring bongo drums, nuclear secrets and lock picking. He was somewhat a ladies’ man, he frequented strip clubs. He was curious of how things worked and eager to teach what he found out about them — something I think is the most admirable quality in a person. Most people could learn something important from Feynman. People should maintain their natural curiosity through their lives. People should try to find things that are interesting to them, and them actively find out what makes them tick. To me, “I don’t know” is a very weird answer when practically everyone in the developed world has access to the Internet. Most people seem to think finding out about things and knowing about things is something you can’t do — unless you get a monthly salary of it. Or, that knowledge is for the elite. Or, that knowledge is inherently dangerous and against their values. They should realize there indeed is a good salary for someone who upkeeps and uses the ignorance. People are afraid of knowledge because of they don’t want to be a part of the elite. People think of Albert Einstein when they think of a genius, they should be thinking of Richard Feynman. Einstein was eccentric, Feynman was cool. Richard Feynman knew about things but still went to strip clubs, broke into offices for fun and I would think generally enjoyed his life. 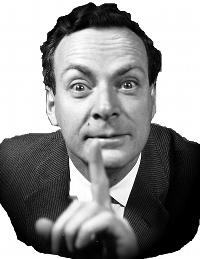 So, next time, refer to someone as a regular Feynman — sarcastically or not — when you refer to a genius. I just stumbled upon the Google Chart API and I couldn’t resist playing with it (statistics being a fetish of mine). A few moments later, I came up with some PHP code that uses my stats plugin for WordPress to fetch page views and generates an URL for the Google API (see below for the attached source code). The main idea behind Google Chart is that the chart is an image and all data for the chart is in the URL. That includes the chart title, size and the data sets. Personally, I think this is a brilliant idea. You can embed the charts anywhere you can use images and best of all, you don’t need to have data anywhere else but in the URL (you don’t even need to duplicate the generated image in your own webspace). You can also pretty much generate charts by hand if needed. The above URL has quite Google-like short parameter names but that’s obviously because of technical limitations. The chd parameter is where the data set for the graph is: s:NQGHJ – simple encoding : encoded data. One interesting aspect arises because of the encoding: you need to fit your data set to use the granularity the encoding has. E.g. when using simple encoding and encoding a data set of 0, 4.7 and 244, you have to normalize and remap the data so the data goes from 0 (character A) to 61 (character 9), not from 0 to 244. That may sound horribly inaccurate but remember, nobody measures the charts with a ruler – they look at the numbers for accurate data. And there are more accurate encodings. I like how the charts look slick. A lot of existing libraries and APIs for similar stuff tend to have less aesthetic appeal. Anti-aliasing does not better stats make but it certainly looks more professional. The API also has nice features such as adding arrows and red X’es on a graph (think an arrow with the caption “stock market crash” – after which the graph plummets), the always useful Venn diagrams (see right) and other usual stuff you’d need. Anyway, my original point was that Chart is a cool API, is probably easier to use and faster to install than gnuplot or other chart drawing software, is compatible with any browser able to display images and it’s free for everyone to use (the limit is something like 50 thousand views per user per day – and I guess their policy says nothing against caching the charts on your own site). Check it out. P.S. This is quite obvious but… I predict that in the future, Google will use the accumulated charts for some kind of statistics search. The charts contain text (label, title) so a Google search result might include relevantly labeled graphs. Which is an interesting scenario, considering the Internet is full of lies, kooks and gullible users.